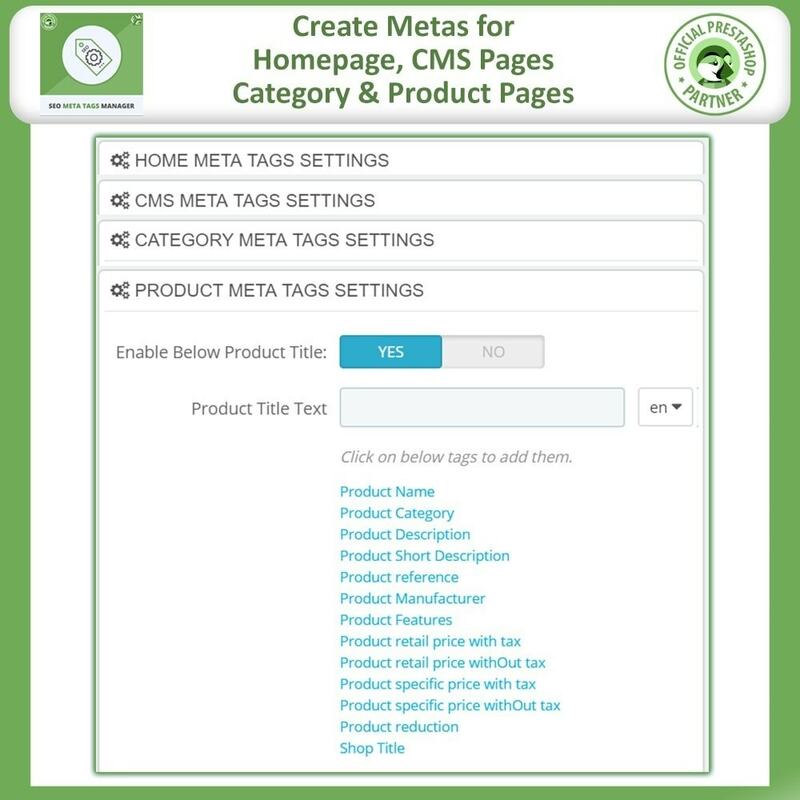 Meta Tag Manager help you get top ranking on search engines by generating SEO rich metas. 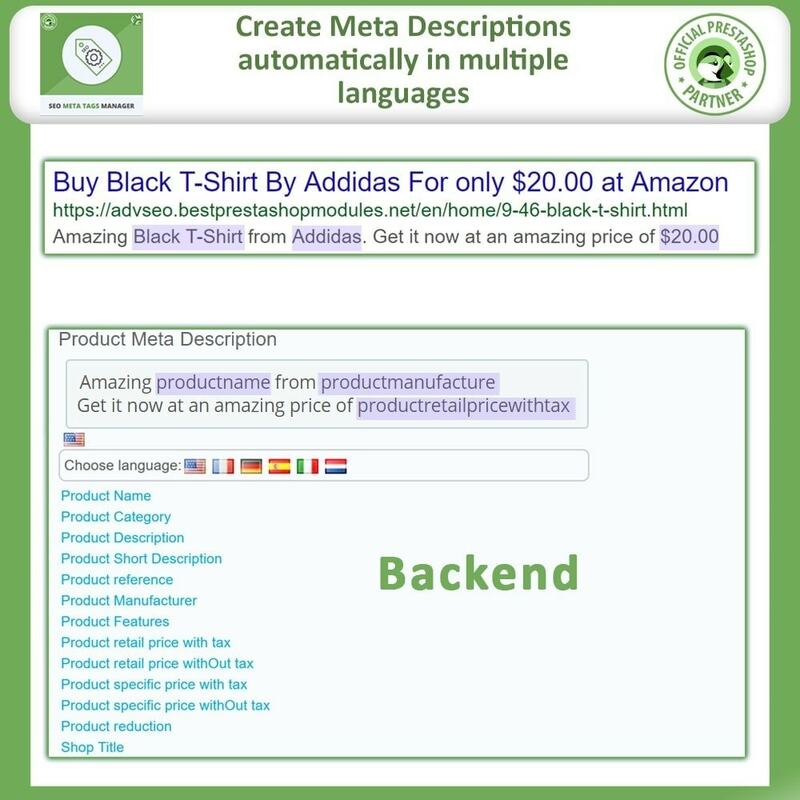 You can generate meta titles and descriptions automatically for your whole site with just a few clicks. Have SEO optimized meta tags is an important part of any SEO strategy. In Fact, it is one of the first steps that is usually suggested by any SEO guru. If your tags are properly setup rest assured your ranking will improve over time. 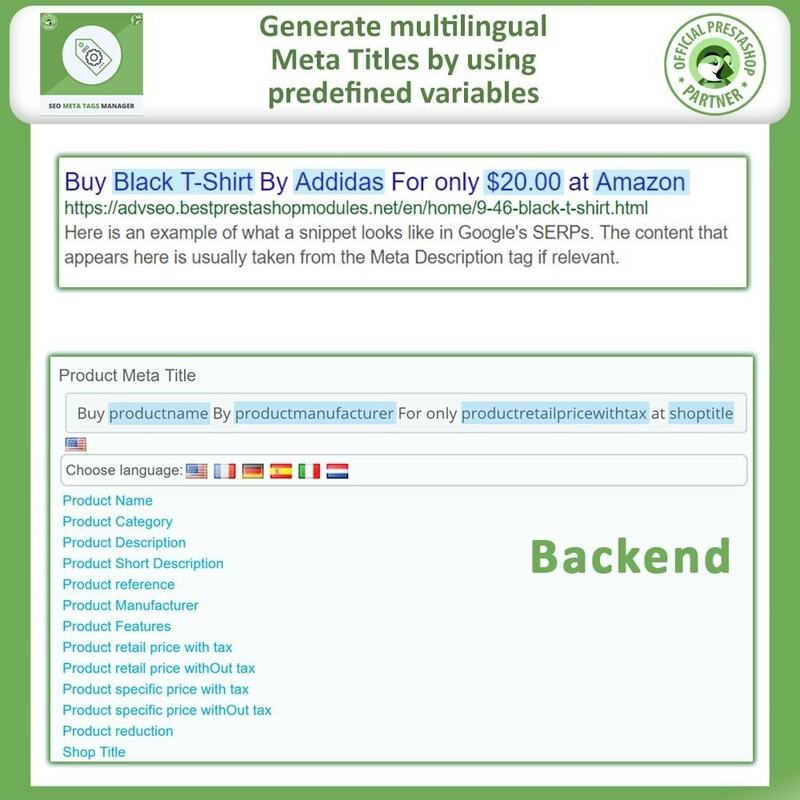 Meta Tags also affect user experience as they are visible to the user on SERPs. On the SERP title and descriptions are the first thing that user notice. Clicking on your site link highly depends on how your results appear to the user. If you have a website with thousands of products then writing metas for each of them can take up to eternity. This becomes more difficult when new products are being added on daily basis. 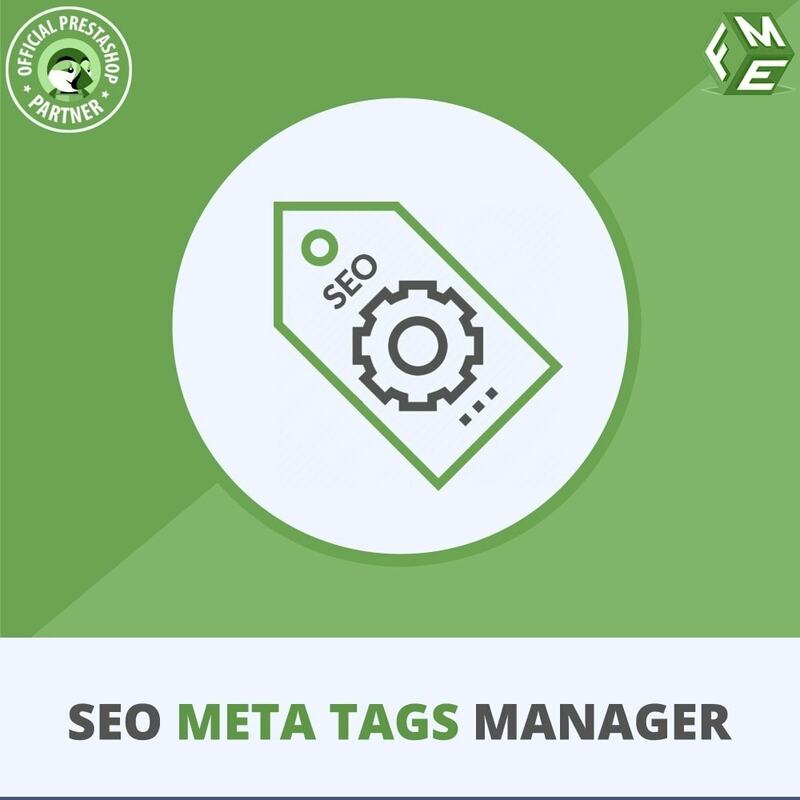 SEO Meta Tag manager eliminates this problem but automatically generating metas for your whole website. The variable based algorithm helps you utilize these variables to draft creative metas which will then be applied to the whole website.